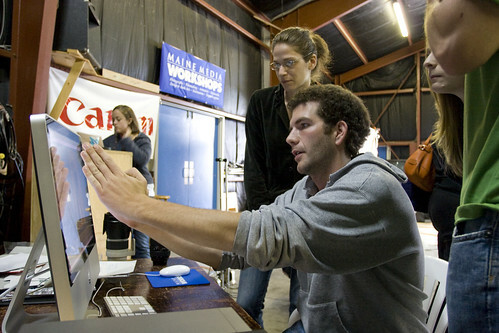 On Sunday the Maine Media Workshops had their second annual Open House. This is the event where people can come from anywhere in the world to check out the facilities and learn about what happens here. 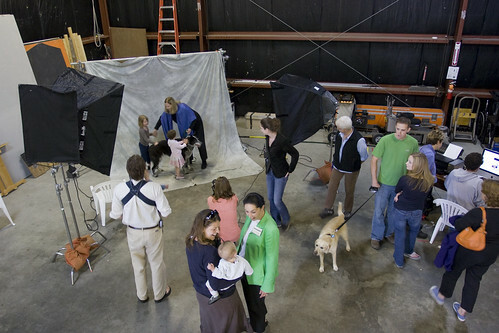 I was pretty busy most of the day, but I did manage to snap a few pictures of the Dog Portrait studio. This was setup using Canon’s wifi system to send pictures straight to the computer as they were taken and then they would be quickly touched up, printed, and given to the person about 5 minutes later. That’s my roommate and officemate Allen doing the printing. 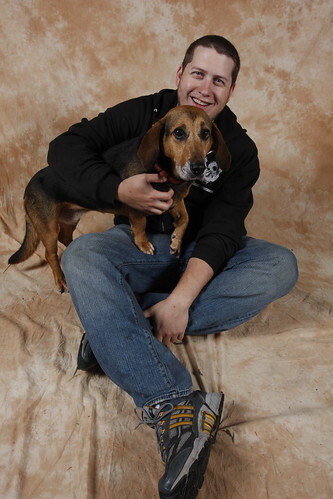 Of course I brought Charlie and we got our picture made!